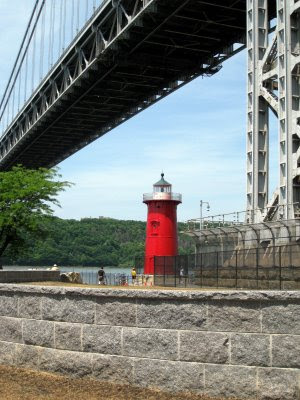 This is the Little Red Lighthouse in Manhatten. It sits almost under the George Washington Bridge. 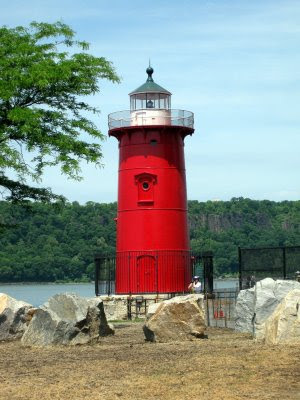 interesting lighthouse.love that color red.